Big budget games have huge, sprawling staffs. Believe it or not, Assassin’s Creed was not the product of a couple programmers working out of a garage. In fact, 450 people worked on AC and AC2, and over 300 are involved in the production of Call of Duty: Black Ops. So, it should come as little surprise that the aptly named Epic Mickey is being created by a 275 person team. 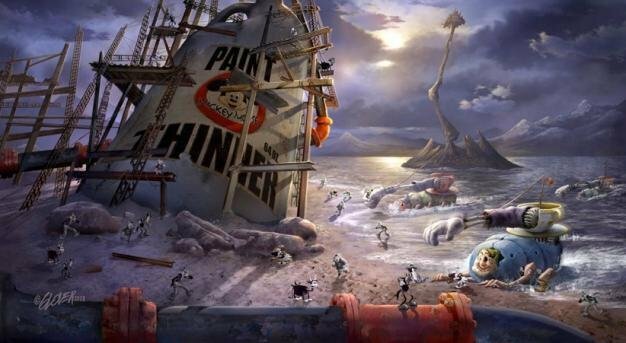 Junction Point studio chief Warren Spector recently explained the necessity of bringing in many different groups to work on the game: Junction is splitting concept art and animation duties with various Disney studios. Moreover, Junction designers created game levels on paper and sent them to external developers to turn their sketches into actual game content. The most interesting thing about all this? Epic Mickey’s team may just be the largest one assembled for the production of a third-party Wii game, certainly an auspicious sign for bored Nintendo gamers.